LEXINGTON, Okla. - The Lucas Oil Drag Racing Series event that was scheduled this weekend at Thunder Valley Raceway Park in Noble, Okla., has been rescheduled for October 26-28, 2018. With the amount of rain that the facility has received and is forecast to receive over the event weekend it does not look favorable to keep the event as scheduled. The daily schedule will remain the same as below. Thunder Valley Raceway Park will host the Thunder in the Heartland, the final event for the NHRA South Central Division, on October 12-14. 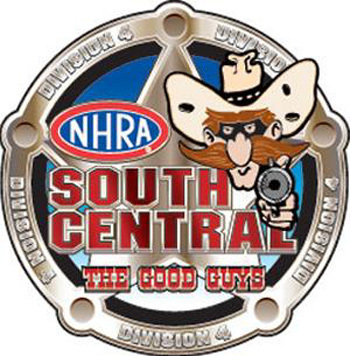 The event is one of 44 scheduled across the country where drivers in the NHRA Lucas Oil Drag Racing Series earn points leading to divisional, regional and national championships as well as a chance at a share of the year-end purse of more than $519,000. Categories include Comp Eliminator, Super Stock, Stock Eliminator, Super Comp, Super Gas and Super Street. The division's SDPC Raceshop Top Sportsman, Top Dragster Series and NHRA Sportsman Motorcycle Series will also be run in conjunction with the event. Gates at Thunder Valley Raceway open at 7 a.m. each day. Qualifying and Time Trials begin Friday 9 a.m. and continue Saturday at 9 a.m. Top Dragster, Comp and Top Sportsman will make two qualifying runs on Friday and a final two on Saturday to set the fields. Eliminations for some classes will begin Saturday afternoon and continue on Sunday at 9 a.m. Specialty Shootout events will highlight Friday afternoon's racing action. Tickets for Thunder Valley Raceway are $20 Friday, $20 Saturday and $20 Sunday. Children 11 and under are admitted free with a paid adult. Thunder Valley Raceway is located off Highway 77 South, south of Highway 9E. For more information call the track, (405) 872-3429, or visit www.OKThunder.com.